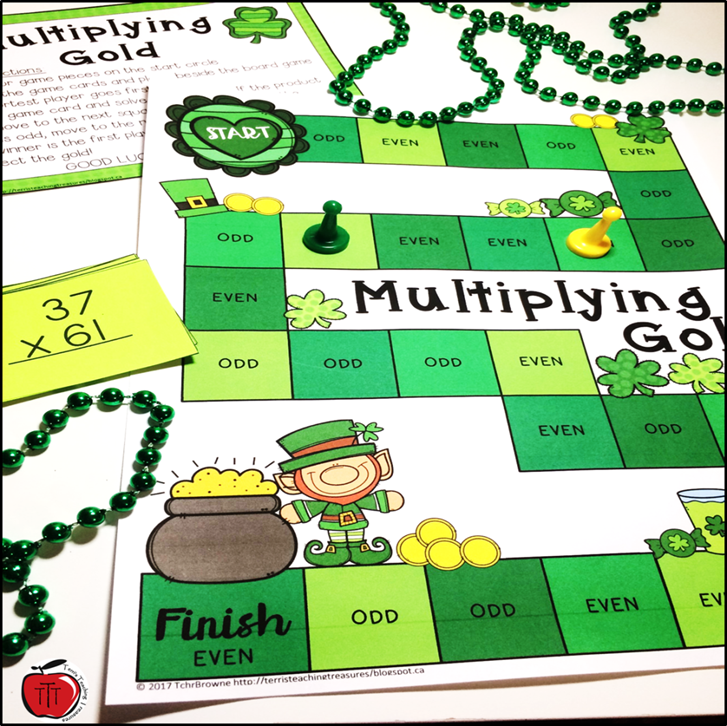 Are you looking for an engaging way for your students to practice multiplication facts? Do your students love sharks as much as mine do? I have combined sharks and multiplication to create a fun, FREE way for my students to practice their multiplication facts and I am sharing it with you. Students learn multiplication facts quicker when they have hands on, interactive activities to do. 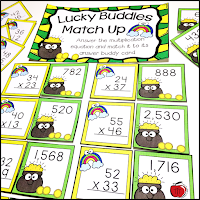 I get my students' minds working with these fun multiplication activities. All they will need is a pencil, scissors, glue, and a curiosity for riddles! The first activity, will have your students solving a shark themed riddle. They will answer multiplication facts to get the answer to the riddle. The second activity is more hands on. Students will sort multiplication facts, identifying if they are true or false. This is where the scissors and glue come in. Put the cut and paste multiplication activity in a math center. Photocopy one page for each student. Another option is to cut out and laminate the sorting multiplication facts. Place the True and False page in a protector sheet and have students sort on the mat. They will put the pieces away (mixed up) for the next student. 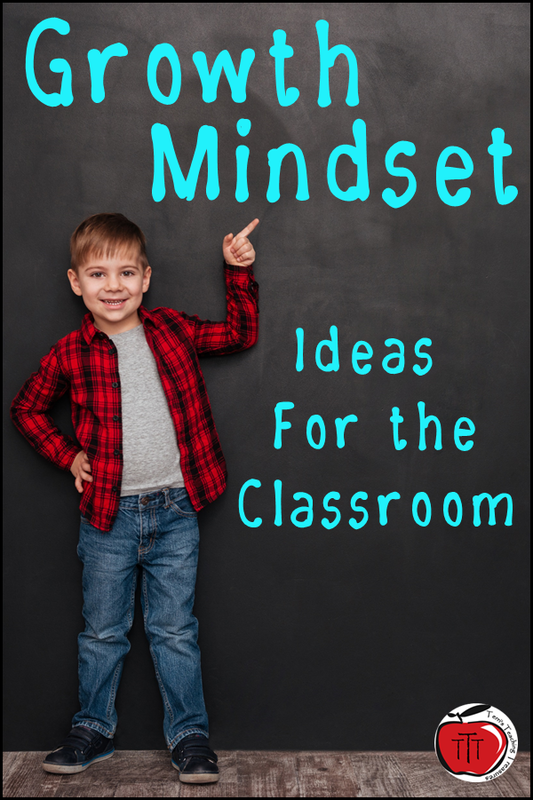 Use the worksheets as a whole class activity after your students have learned the multiplication concept. 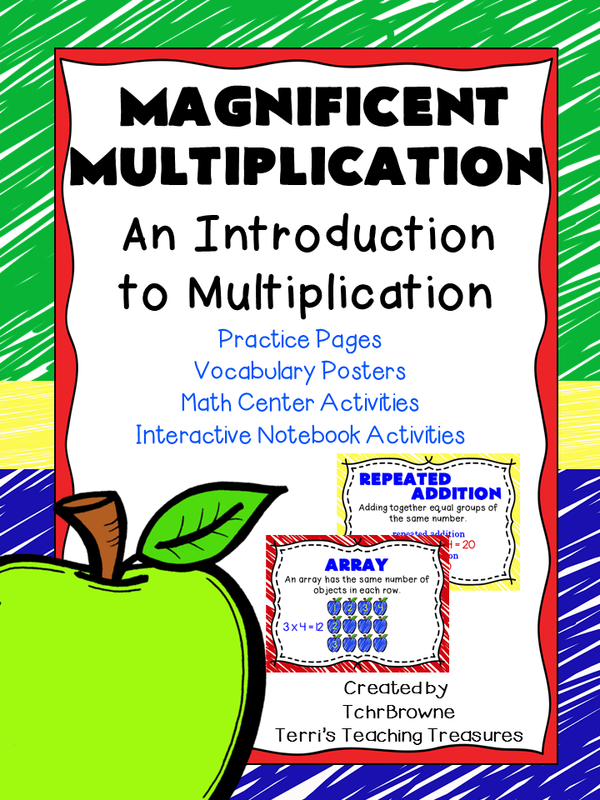 These multiplication activities make great practice activities. Answer keys are provided so you can easily mark the pages. The answer keys are easy to read for student use so you can have them mark their own work if that is better for you. Will the multiplication activities work for your students? 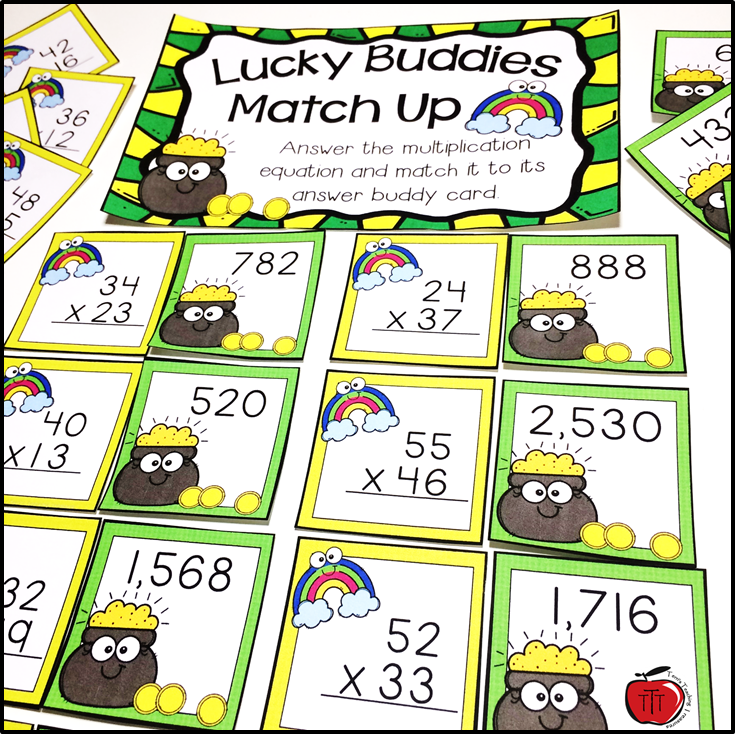 These printables are great for any student who is beginning to learn their multiplication facts. 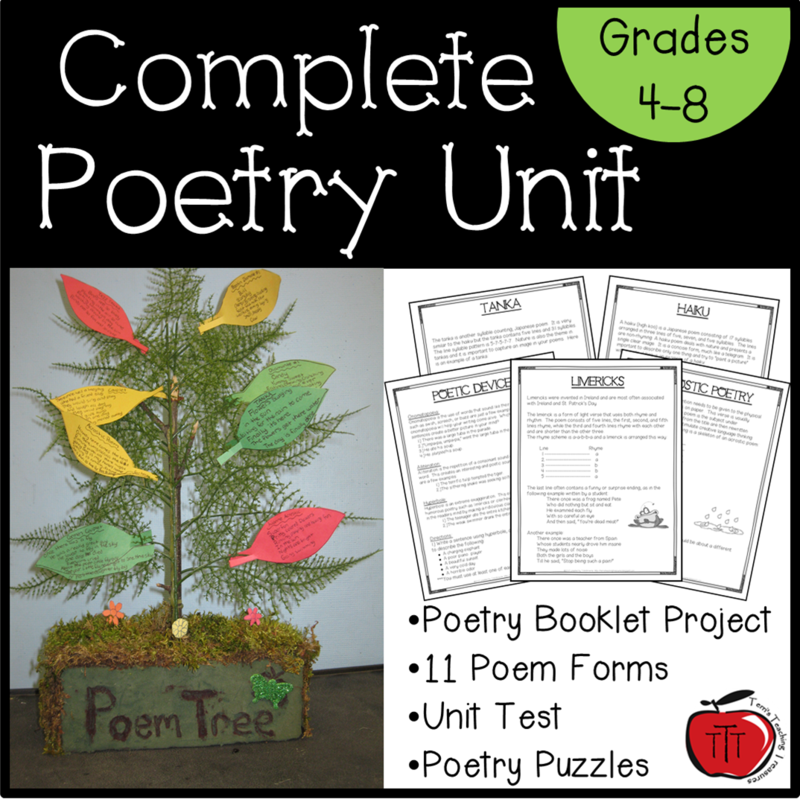 Ideal for 2nd grade and 3rd grade students. 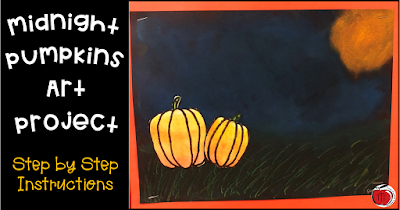 If you have 4th grade and 5th grade students who need extra practice with multiplication facts, they will enjoy these activities also. How do you get a FREE copy? 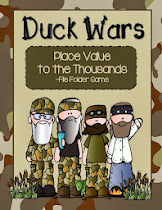 To get your FREE copy today just click on any of the pictures or right here. 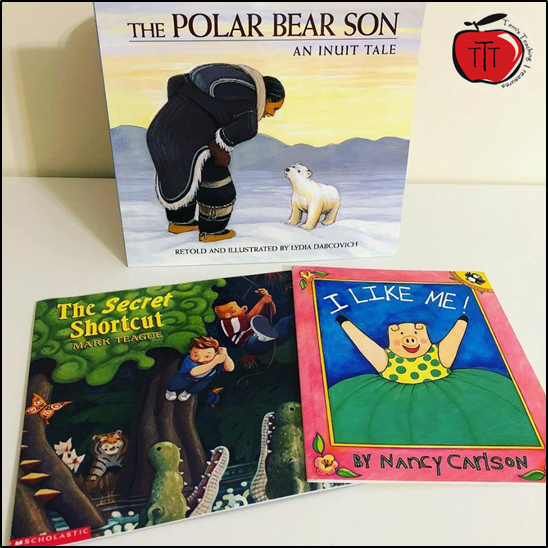 I have read a lot of research articles about the importance of teaching students the ins and outs of syllables and I could bore you with all the technical mumbo jumbo, but I won't. I will let you know the highlights of my research (and 14 years of teaching) and do so in easy to read language. No one (well not me at least) has time for the crazy talk of research when they are looking for new teaching tips and ideas. If you want to read some of the research for yourself, I will leave a list of some of the articles I read, at the end of this post. 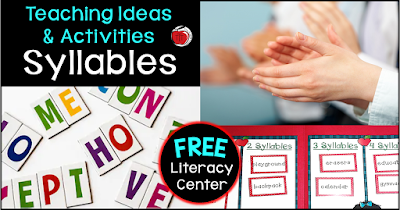 Syllables are part of phonological awareness and is a strategy we teach to students after they have mastered decoding by sounding out individual letter sounds and rhyming skills. 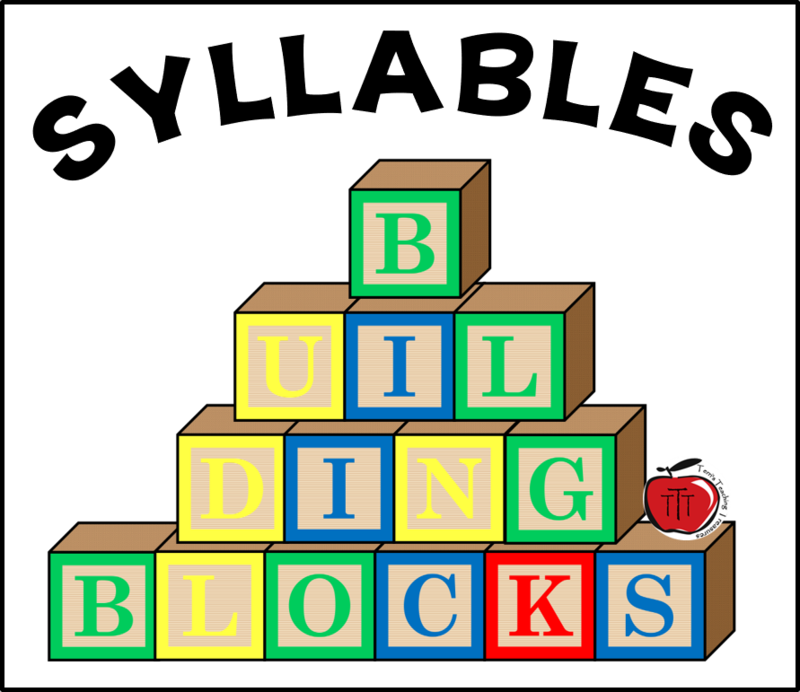 Or to put it another way --- Syllables are the building blocks of words! 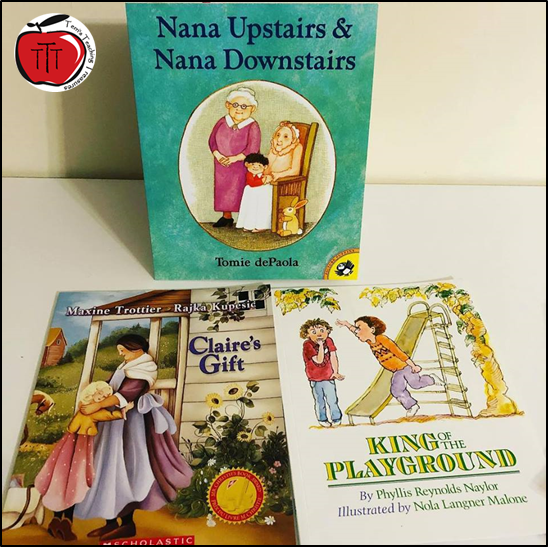 Teaching students syllable awareness (how to identify the number of syllables in a word and how to break a word up into syllables) is an important part of reading and writing. 1) It helps students decode words quicker because they will be chunking sounds rather than sounding out individual letters. 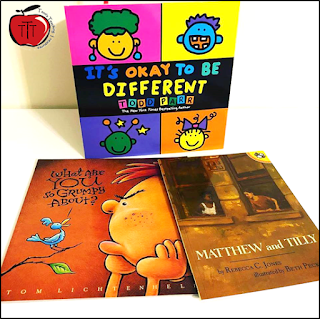 2) It can help students read more fluently and accurately. 3) There are positive benefits to oral language because it helps with the pronunciation of words. 4) Helps students spell during writing times because they are breaking the word into smaller parts. What is the difference between syllable blending and segmenting? 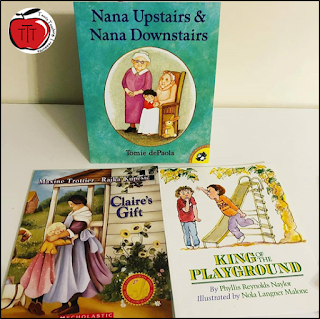 Syllable blending is when a student is given the syllables (usually orally) of a word and he or she has to blend them together to identify the word. For instance, if the teacher were to say "pen - cil" the student would blend them together and say "pencil". Syllable segmenting goes the other way. The student is given the word in its entirety and they are required to break it up (segment) it into its syllables. For example, the teacher says "butterfly" and the students would say "but - ter - fly". 1) Students can put their hand under their chin. While they are saying a word, they count the number of times their chin pushes their hand down. When the hand is being pushed down, this is where the word is segmented by a syllable. 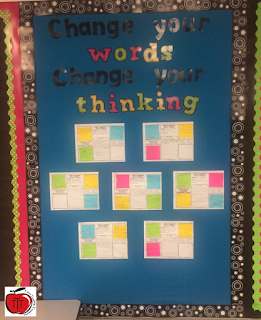 2) Students can clap the "rhythm" of a word. Each clap is a syllable. 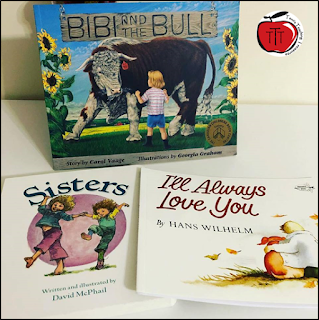 If students have a difficult time clapping while they are saying the word, they can put up a finger for each part or us a block or counter to place on the table for each part. 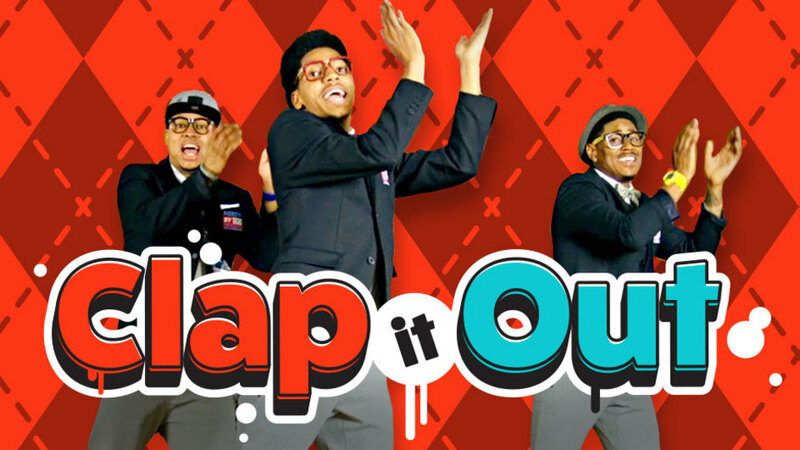 If you use GoNoodle with your class, check out this fun song! It is important to remind students that each syllable segment must have a vowel in it. 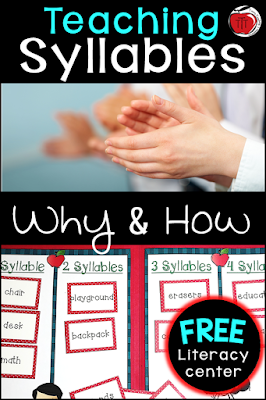 Almost all of the research I read said that teaching syllables should not be just a quick lesson or mini-unit but that we should be giving our students repeated exposure to syllables throughout their time in school. 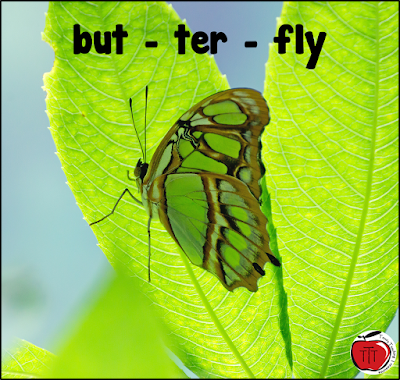 We are still teaching our students new vocabulary that they have to read and write all through elementary (and beyond) school and looking at the syllables of these words will help them just as much as it helps first graders decode and write beginning words. This is one of the reasons that I still have my 4th graders identify the number of syllables in a word and to segment new words into their syllables. 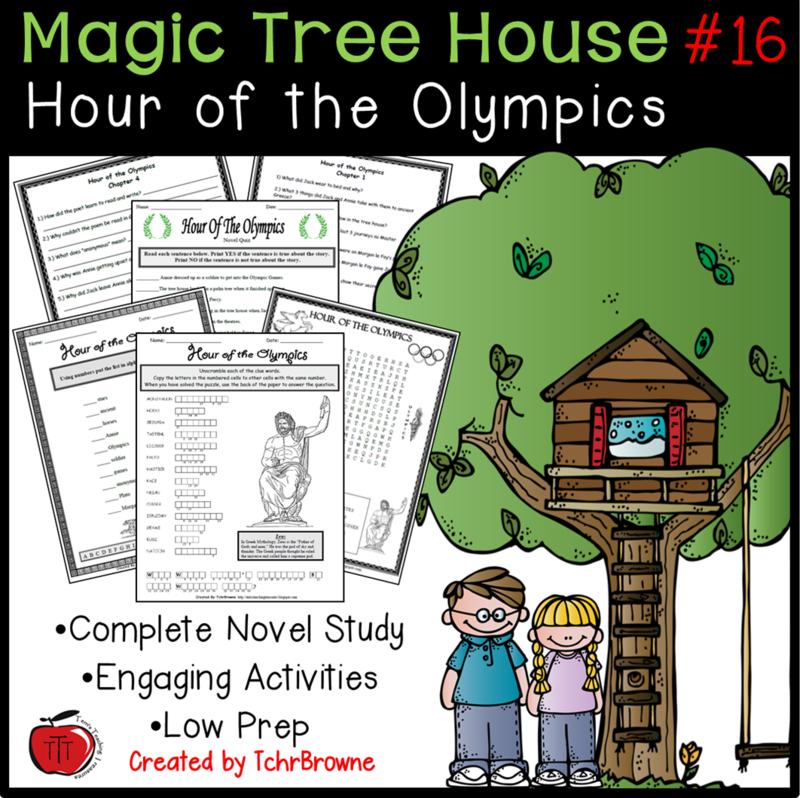 I do this as part of spelling/grammar, Language Arts, Science, and Social Studies lessons. 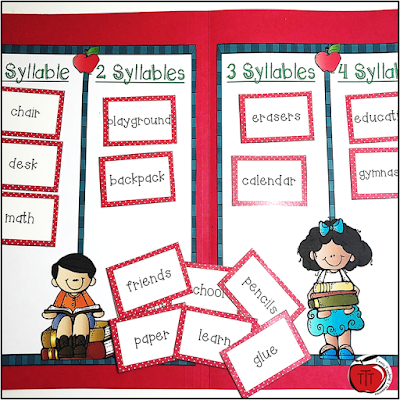 During Language Arts blocks students work on syllables for many of their spelling units and I also incorporate it into my literacy centers. 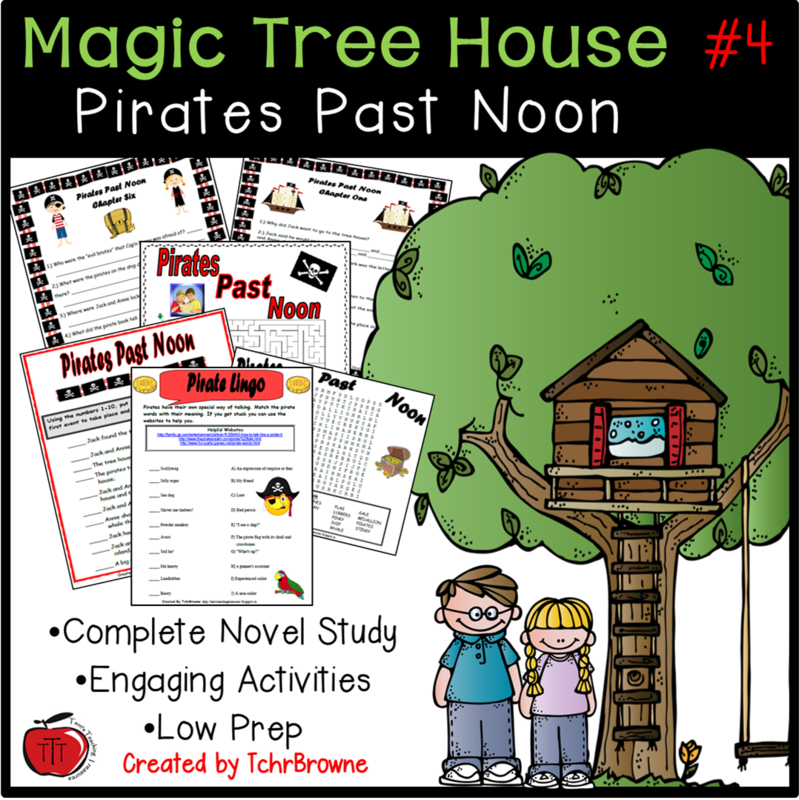 I find that students enjoy practicing literacy skills far better when they are put into a literacy center or game. 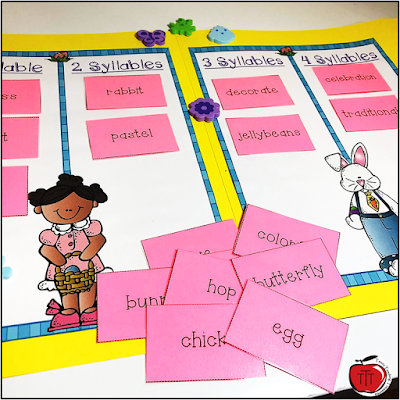 Engage your students with these fun syllable sort literacy centers. 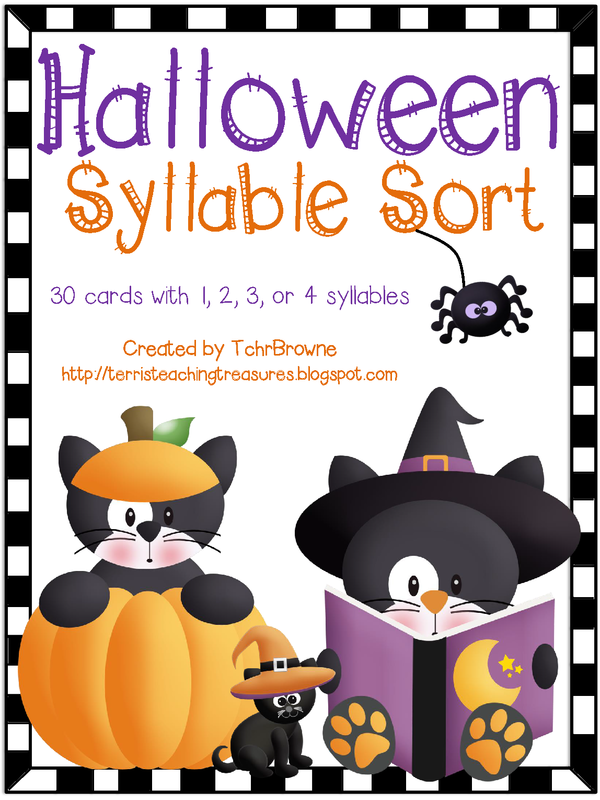 I currently have 14 different themed syllable sorts that I incorporate into my literacy centers. 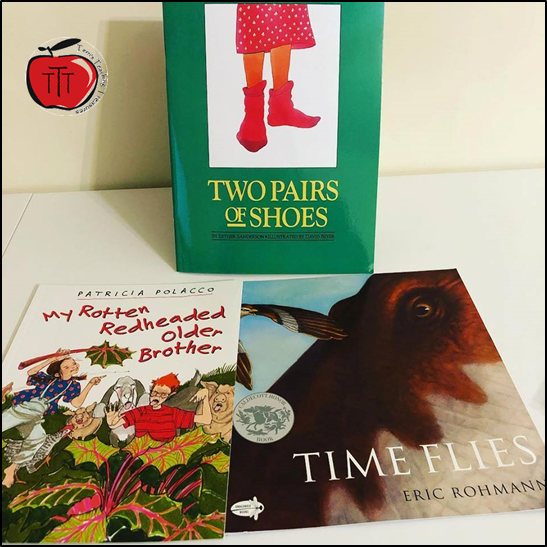 Sometimes students will work on them with a partner (especially if they feel less confident in reading the words) but they mostly work on them independently. 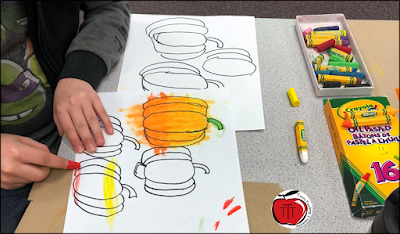 After I have taught them how to complete one of the centers, they quickly become familiar with the task and need very little (sometimes just a quick reminder) to no instructions on how to do the others because the task is the same for all of the themes. What themes are currently available? You can check out any of these (and bundling options) by clicking any of the photos or right HERE. Want to try out a FREE literacy center? 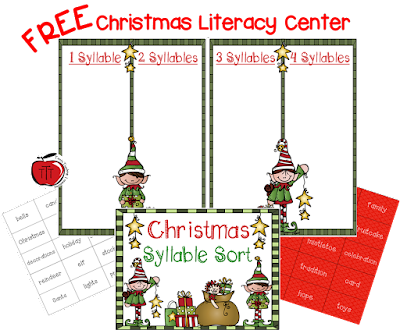 I have made my Christmas syllable sort center free so that you can check out what it is like before you purchase the other themes. You can find the Christmas literacy center here. 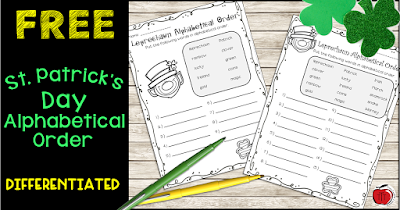 Do you have a class that needs differentiated St. Patrick's Day activities? 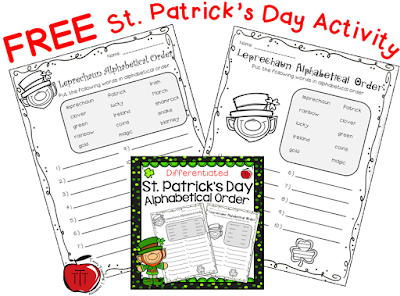 All your students can be working on alphabetical order with these St. Patrick's Day alphabetical order pages. 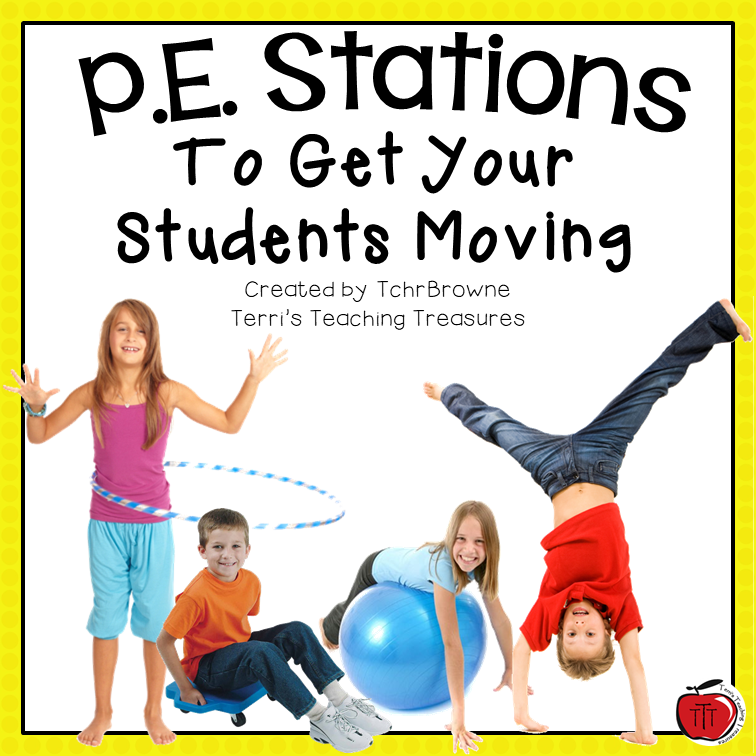 They are differentiated to help with students who need extra time to complete an activity. The pages look similar, one just has fewer words. There are 15 or 10 words for your students to order. 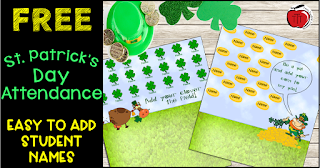 These St. Patrick's Day alphabetical order pages are perfect for literacy centers, morning work, or working with words. If students finish early they can color the leprechaun themed pictures. If you want to save paper and use these in a literacy center all you have to do is place the pages in page protectors and have students use whiteboard markers to complete the activities. Once students are done and the page has been checked, all they have to do is wipe it clean and the next student can use it! Another way to save on paper is to print 2 pages on 1 sheet of paper. This will make each page half the size but they will still be readable and have plenty of room to record answers on. 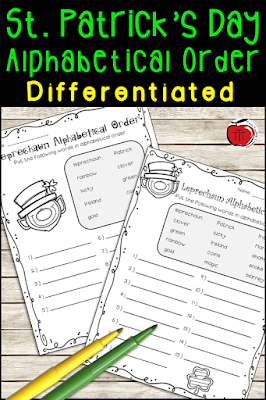 Low prep for you, differentiated for your students! Get your FREE copy by clicking on any picture or right here! Are you looking for some St, Patrick's Day Math ideas? 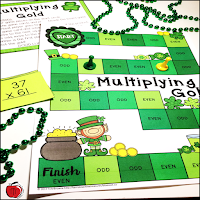 Here is a blog post I wrote about my St. Patrick's Day multiplication centers. 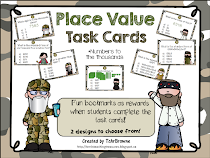 If you have a smartboard in your classroom, I have created a fun way to complete your attendance during March. 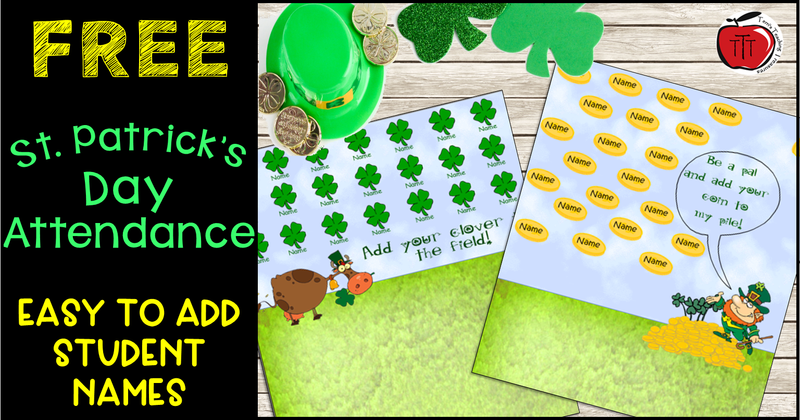 Check out these FREE St. Patrick's Day smartboard attendance slides. 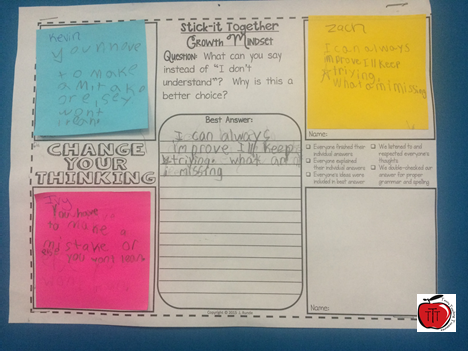 This year I noticed that many of my students were using a lot of negative self talk and that they were giving up on a task before they even started. 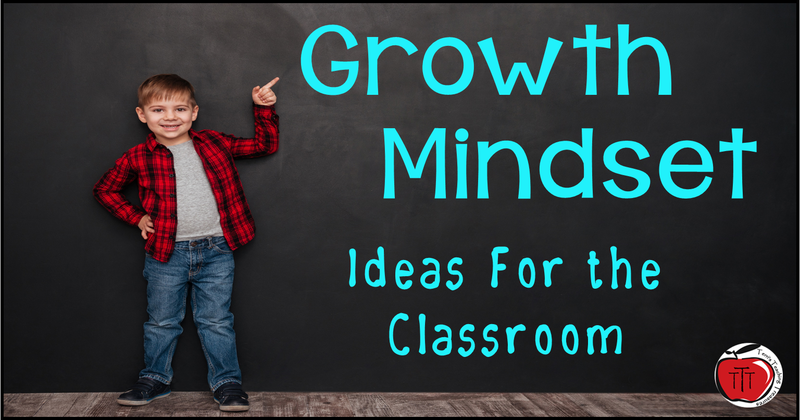 Something needed to be done about this so I did some research on Growth Mind Set and decided that this is exactly what my students needed. We begin by watching the story The Dot and talk about how the Vashti changes over the story. 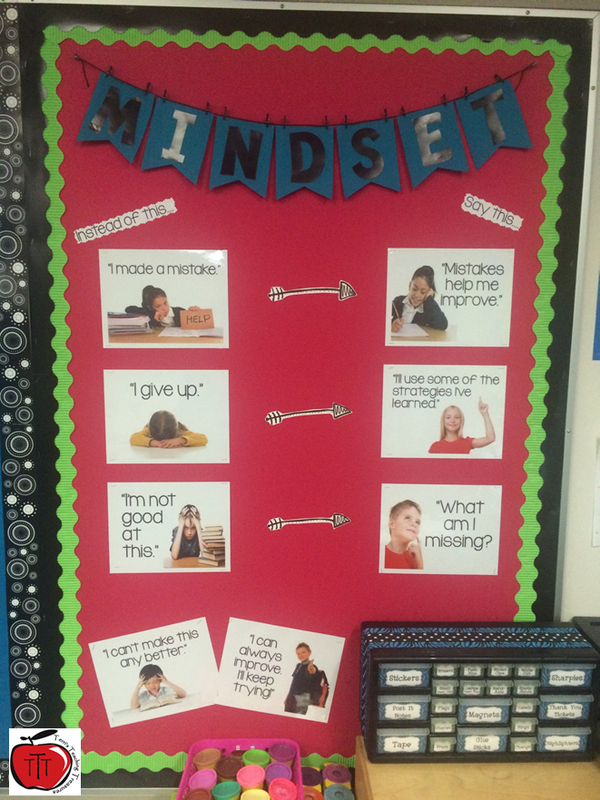 This story makes it VERY clear that she goes from having a fixed mindset to a growth mindset. 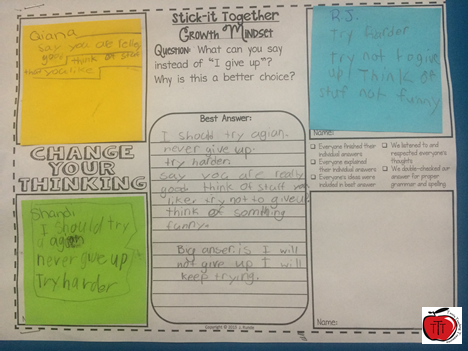 This story leads to introducing the terms "growth" and "fixed" mindset. We then created our first classroom bulletin board together. 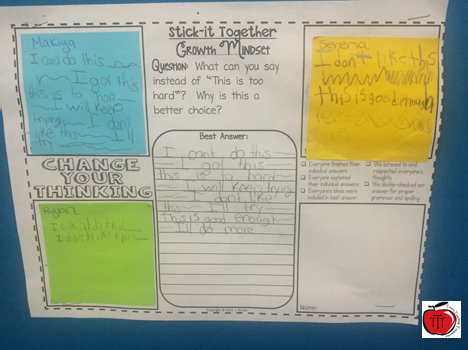 I showed them the fixed mind set message and together they decided on what the growth mind set message went with it. 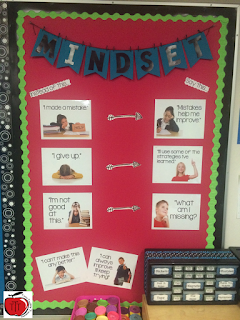 You can get the posters for this bulletin board from The Blessed Teacher. We went over a lot of different scenerios and partner talks and then we completed Jennifer Runde's (All her stuff is AMAZING!) Growth MindSet Stick-It Together activity. 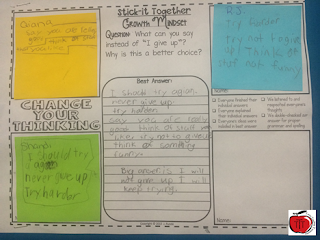 Here are some examples of what my students came up with. Throughout our study I use many video and these are 2 of the ones my students get the most information from. One Two of the BIG takeaways from our lessons were that they are still learning and that mistakes are part of learning. Also the power of the word "YET". I still here them using the word now and it makes me smile. I have a giant Yet sign on the wall by our classroom door and students see it when they come in/leave the room, as well as when they are doing their work because it is at the front of the room. 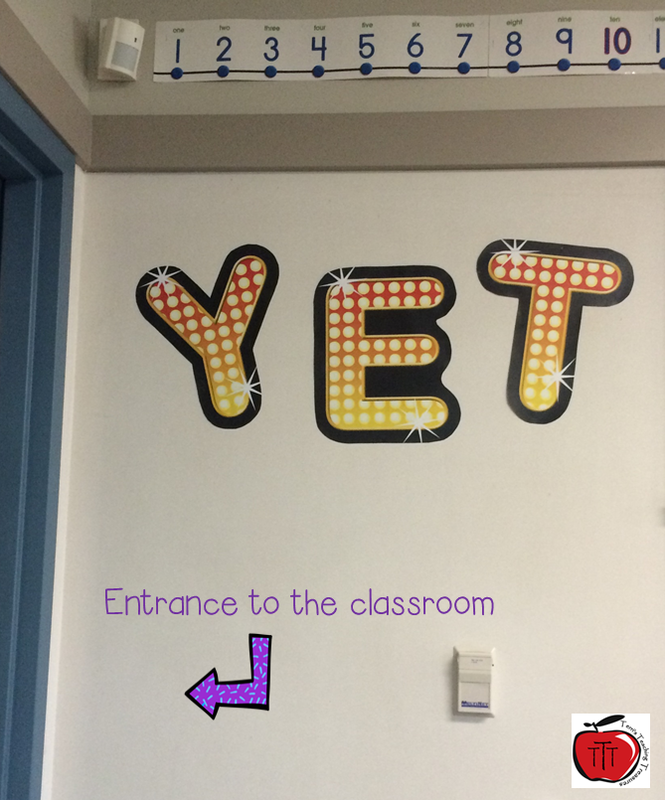 We listen to The Power of Yet song during our lessons and it is so catchy that the kids can't stop singing it. I am sure I will write more posts or update this one throughout the remainder of the year because growth mind set has become the norm in my classroom now. 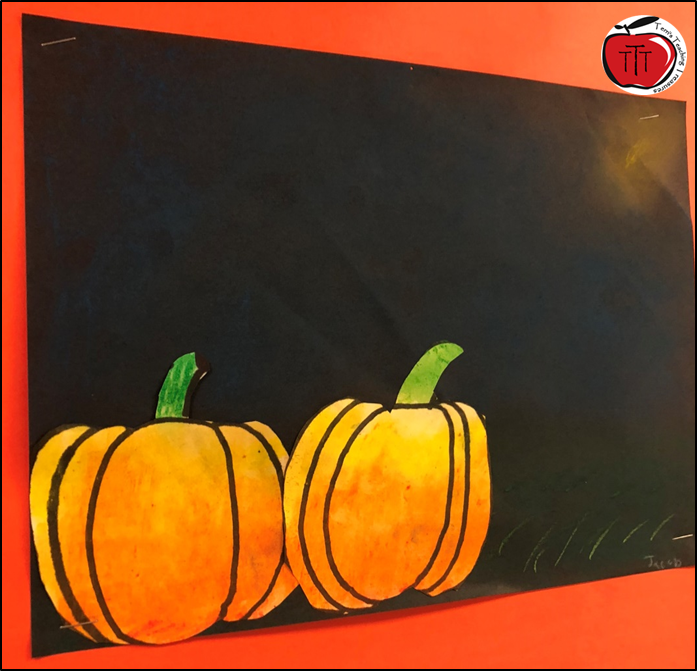 Have you been wanting to do a Halloween (or fall) art project with your class but still want to incorporate some art elements? 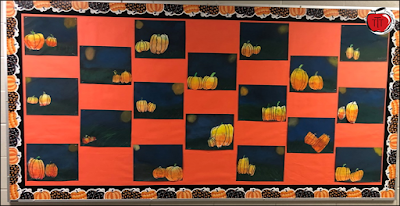 Are you wanting a Halloween bulletin board that is not just a cut and paste craft? I've got you covered. We have been working on blending colors during art. 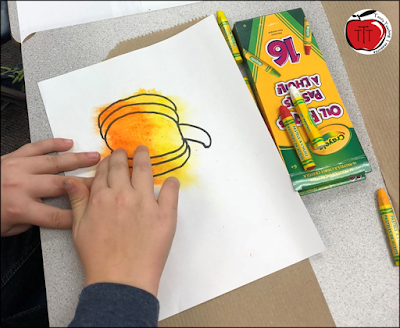 We've blended different types of paints, pencil crayons, and oil pastels. This project has students blending oil pastels (which was a review) and chalk pastels (the new part). It was messy but so worth it to see how engaged my students were. Because this project has 2 distinct stages, we completed them over 2 art periods. On the first day we completed the pumpkins. 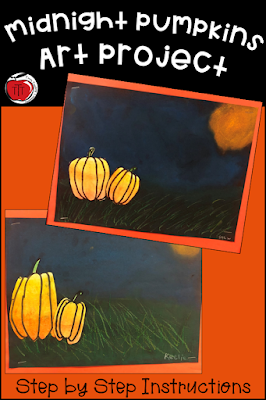 On the white paper, guide students how to draw a simple pumpkin. They will need to draw 2 that are different sizes. We have done quite a few guided drawings, so my students drew directly with their sharpie markers. They kept drawing pumpkins until they had 2 that they liked. The next step is coloring the pumpkins by blending different oil pastels. The colors used were white, yellow, and 2-3 (depending on your available colors) oranges. I always tell my students that it is better to use less oil pastel to start and add more later if needed. It is really hard to make the colors lighter if there is too much but it is easy to make them darker if there is not enough. 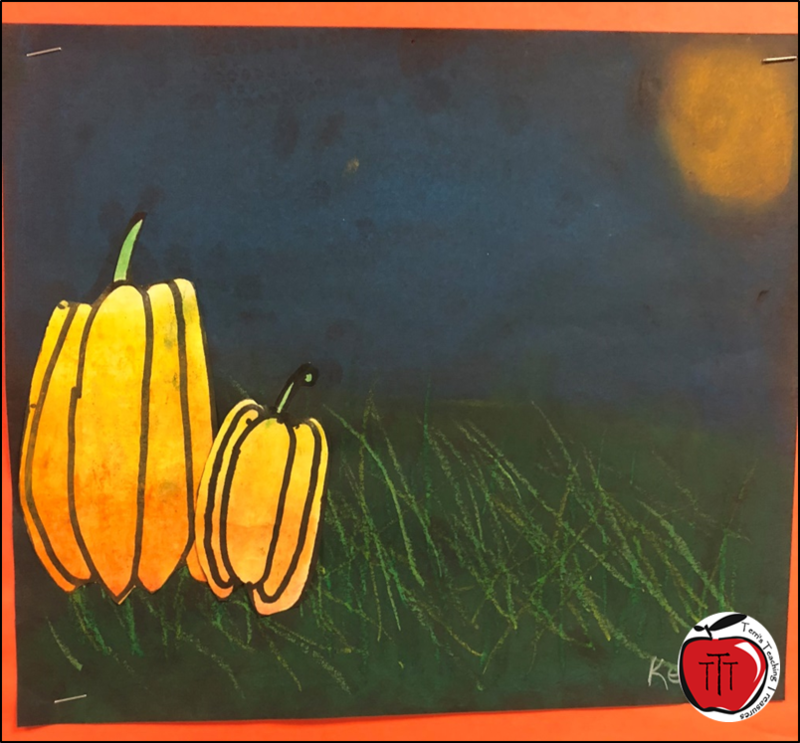 Have students put a small section on white oil pastels at the top of the pumpkins and then about double the width of yellow. Using a straight line blending technique, students blend the colors. It is ok if the pastel goes out of the lines because the pumpkins will be cut out. 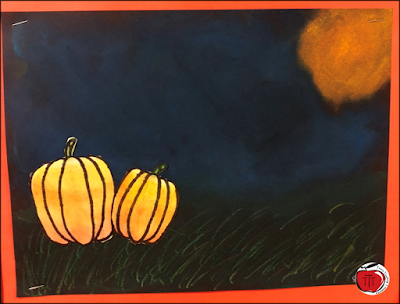 Next, we put a very small section of the darkest orange on the very bottom of the pumpkins and then divided the remainder of the pumpkin in half for each of the remaining orange shades. 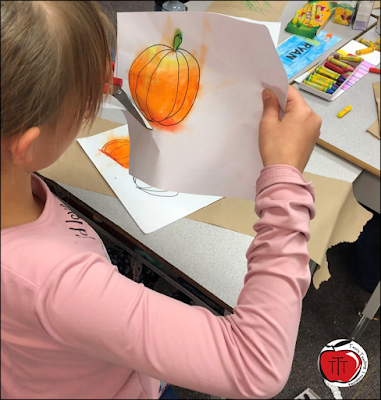 Students again blend, using straight line blending, the rest of the pumpkin. 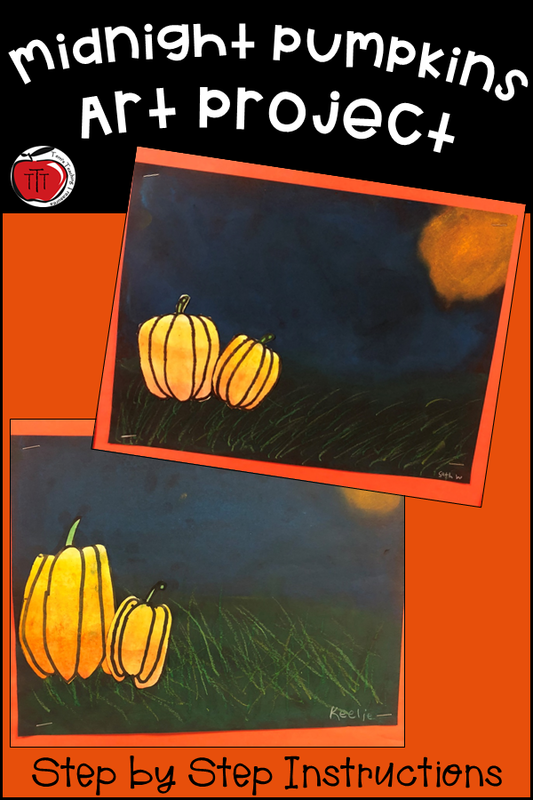 If the pumpkin turns out to have too much of one color, students can layer the oil pastels to blend more. 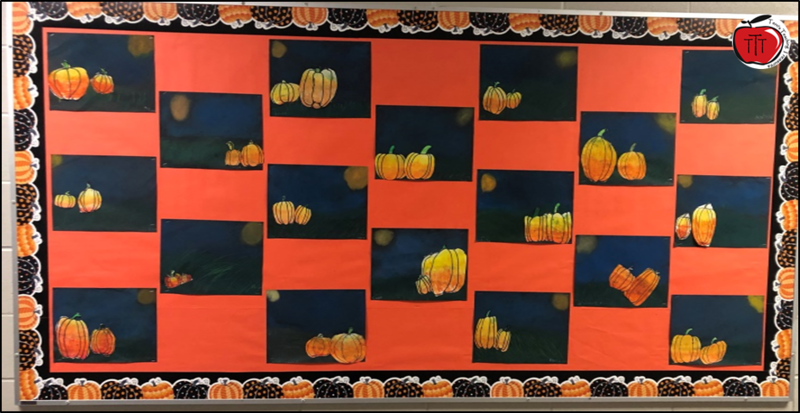 Once students have the pumpkins completed to their liking, it is time to cut them out. 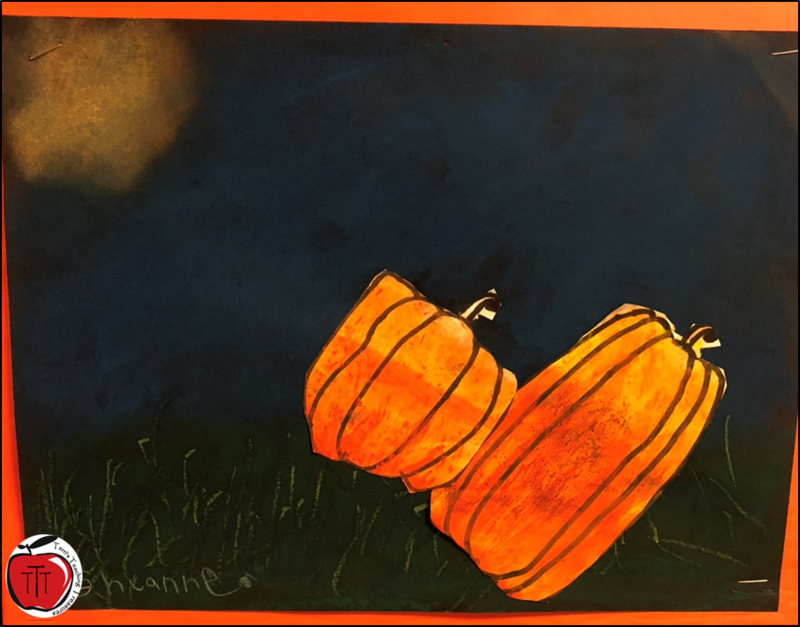 I have students write their name on the back of each pumpkin WITH A PENCIL. They will likely want to use the oil pastels for this but trust me when I say....STOP them. This will make a huge mess if they stack their pumpkins. It's now time to create the background. This is the real messy part!!!! Hand out the black construction paper and the chalk pastels. Don't forget to give students paper towel to wipe their hands on. 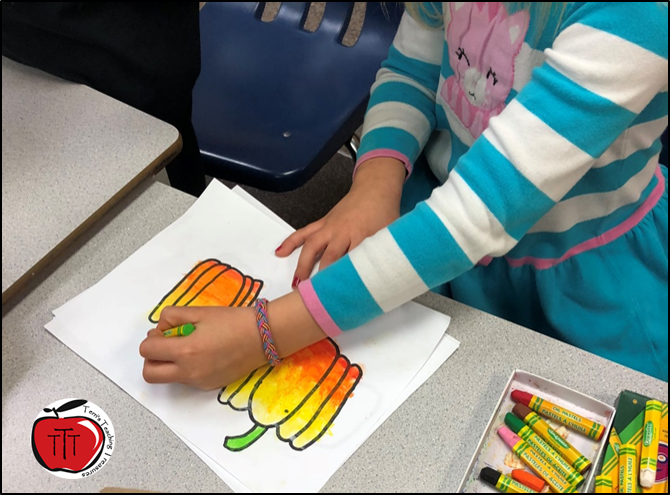 TIP: If you do not have a sink in your room where students can wash their hands between colors, have then blend each color with a different finger(s). Start by having students create the moon on one side of the paper. We started by putting a small white circle surrounded by a yellow ring. blend in a circular motion. Then add a SMALL orange ring on the outer edge of the moon and blend in a circular motion. When the moon is done, it is time to create the midnight sky. Using dark blue chalk pastels students will LIGHTLY draw the bottom edge of the horizon. Tell them not to draw a strong line as they will want to blend this out with the land later. Using the blue, have students spread chalk pastel over the sky area, being careful when they get to the moon area. They will then blend, pushing hard in a circular motion, the sky. If the sky turns out to be too bright, add a very small amount of black to it and blend away. I usually add the black for them because black can easily wreck any pastel project and students tend to go overboard with it. Once students have the sky how they like it is time for the land. We follow the same process as the sky but with green colors. 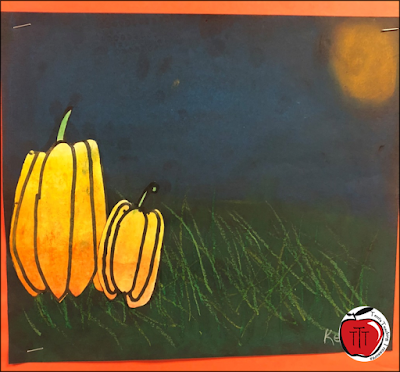 After students have the chalk pastel on the land blended, have them use oil pastels to add grass blades to give some texture. We used 2 shades of green and a yellow. I tell them, the lighter the color the fewer blades of grass to have. Now it is time to glue the pumpkins on. The smaller pumpkins go closest to the moon. If they were furthest from the moon in real life, the bigger pumpkin would block out all light shining on the little pumpkin and you wouldn't be able to see it at night. The final touch was, signing the art with a white pencil crayon. Embrace the mess and have fun ! 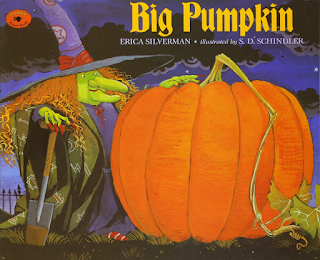 To help set the stage and to look at the shape of pumpkins, the day before the art lesson I read my students Big Pumpkin by Erica Silverman (affil. link) and we looked at a real pumpkin. This helped with my students being able to visualize the shape when drawing. To start Reading off this year we are focusing on learning the Reading Power strategies.If you haven't heard about Reading Power by Adrienne Gear (Note: All book links are aff. 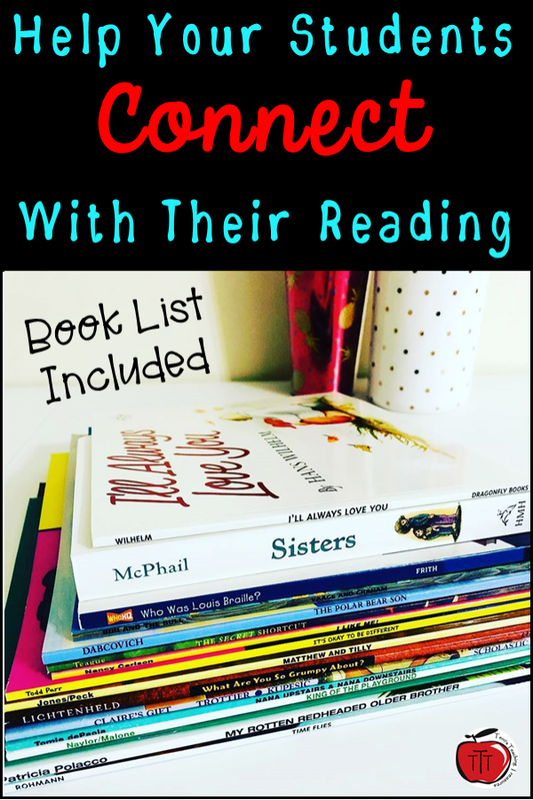 links) it is a must for anyone teaching reading. 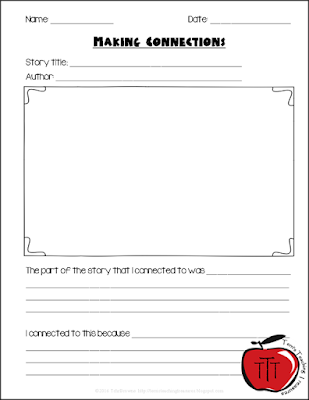 We have started by learning about how to make connections to what is being read. The beginning is very teacher directed with lots of modeling. I read a story and model how to make connections. Then students start making connections to what I am reading. See below for a graphic organizer to help with this. 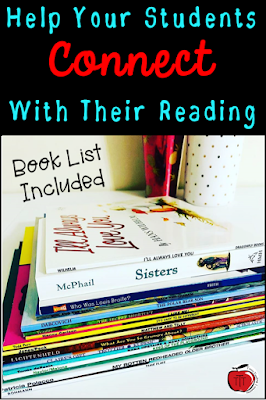 Reading Power goes into great detail on how to help your students make deeper level connections. This is fantastic because I have found students are good at making very basic connections like "I have a dog just like the main character." but they struggle to make deeper connections. Eventually, they will pick books and make their own connections. 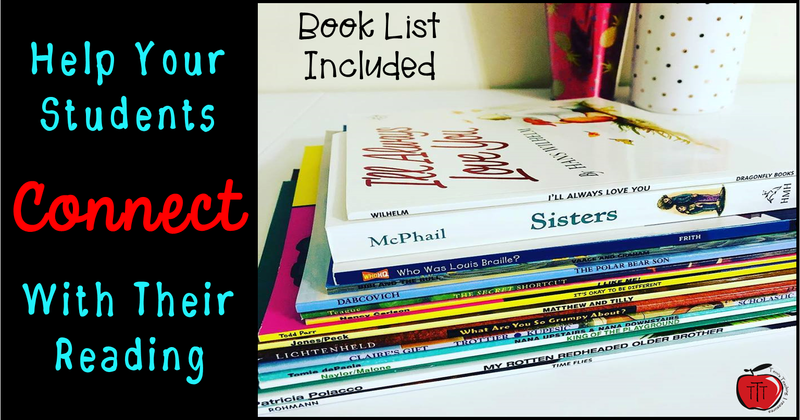 I want my students to have a variety of books to pick from so I have ordered some that are on Adrienne Gear's recommended list. Now it's time for a freebie. 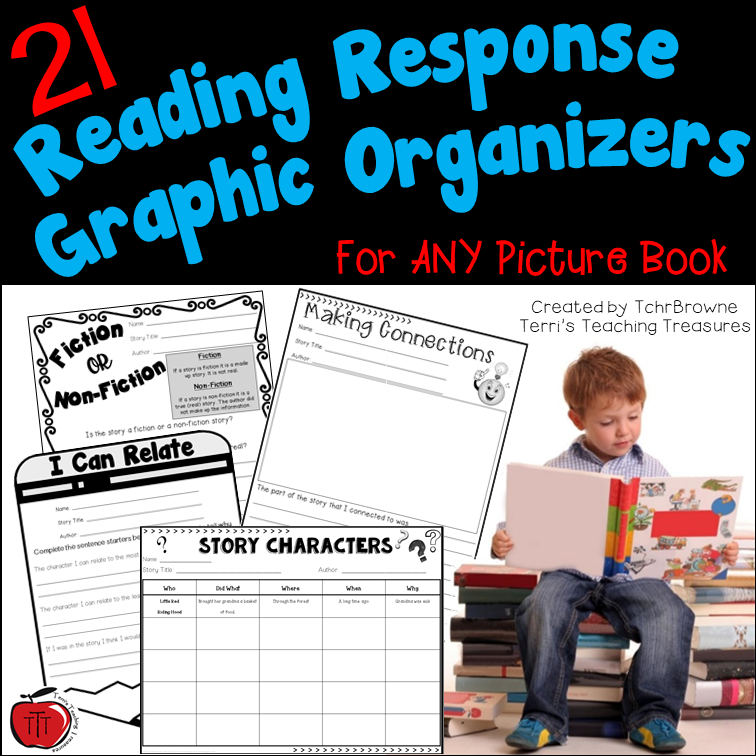 The Reading Power book has many, many graphic organizers to choose from but I also created this one to go along with it. 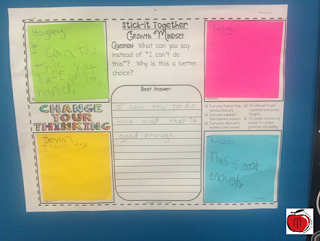 I have used this particular page with students in Grades 1-6. The higher the grade, the higher my expectations. 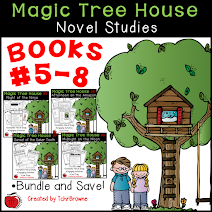 Click on the picture or here to get your FREE copy. Please remember to leave some feedback once you have tried it out. I love to hear your thoughts. Hello! I am lucky to have the best family and career ever. I have been teaching for 10 years and have loved every minute of it. I have had the pleasure of teaching every grade from 1-7 and have finally made it to where I want to be for a long time...Grade 4/5. I love it!!! Just like 4 Pictures 1 Word!